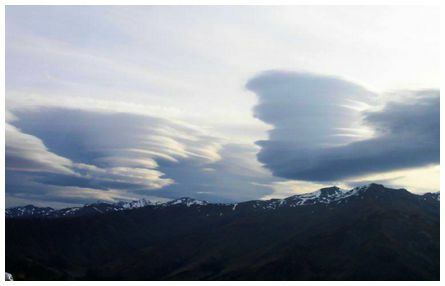 'Lenticular clouds over the Remarkables taken from Crown Range Road Lookout at 20:00 on Saturday 9 November 2013. 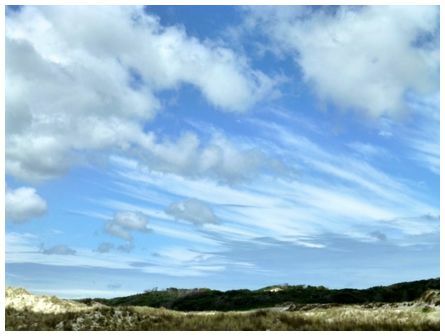 'Mares Tails driving inland of Rakaia at 12:30 on 14 November 2013' wrote Graham. 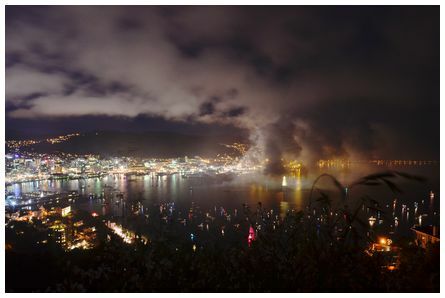 'Not a meteorological phenomenon, but the aftermath of the firework display in Wellington harbour. Taken on Saturday 9 November 2013' wrote Shaun. 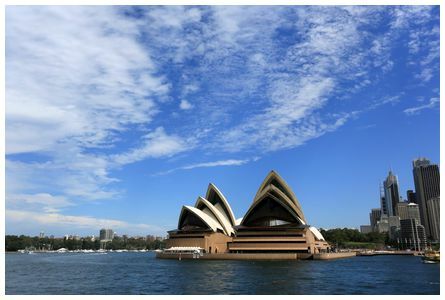 Skies clearing over the Sydney Opera House. Photo taken from the Manly-Circular Quay Ferry at 14:43 on Saturday 23 November 2013 an hour or so after a thunderstorm had passed through. 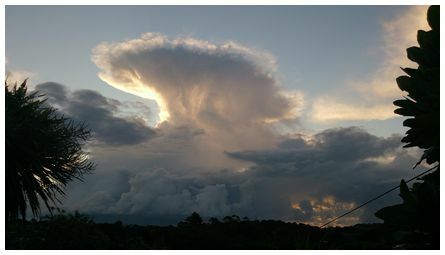 On the previous evening flights at Sydney Airport had been disrupted by thunderstorms. Taken on a Canon 5D with a EF17-40mm lens set at 33mm. 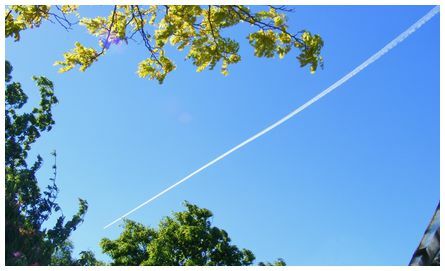 GPS location 33°51'14.5"S 151°12'53.1"E.
'Hi James, here is a photo of a perfect contrail, taken at 1615 on Tuesday 19 November 2013 at Fairfield, Dunedin. The aircraft was flying from southeast to northwest. At the time, there was not a scrap of cloud at all in the sky, so the contrail was a real standout. 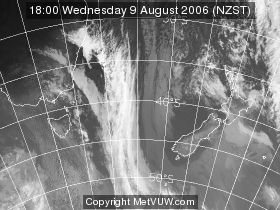 The winds at the altitude at this time were (unusually) very light, and coupled with the stability within the anticyclone, meant that the contrail was able to stay intact for a rather long time. 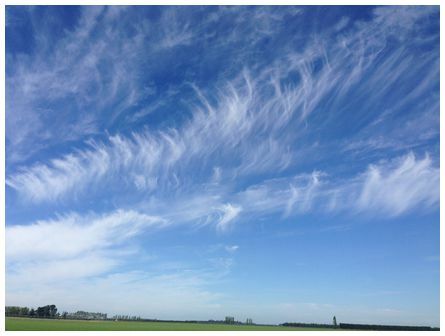 Fragments of it were still visible over an hour later' wrote Kevin.